I am from Germany, 30 years old, breeding and keeping reptiles since I am 14. I live in North of Germany and work as an Imam for several mosques. So far I bred and kept Anolis carolinensis and sagrei, Corn and Ratsnakes, Russian Rat snakes, african house snakes, Lepidodactylus lugubris, Pachydactylus scutatus, Coleonyx brevis, Bombina orientalis, Hypselotriton orientalis, Pleurodeles waltl, Chalcides o. ocellatus, Lacerta agilis, Podarcis muralis ssp, Darevskia unisexualis - but I never had any color morphs. This is the reason I landed here - i got some Leopard Geckos from bad care and would like to know what morph they are. I did not find much in German language, so hopefully I will be able to profit from your experience here. If you got any questions for me, please feel free to ask. Welcome to Geckos Unlimited, Abuzer! You've certainly kept many different herps during the past 16 years! 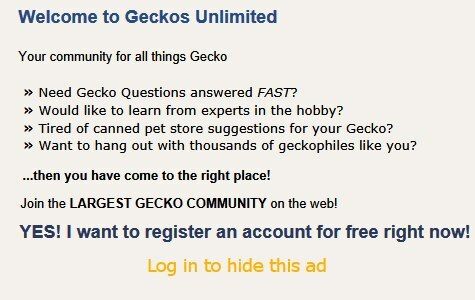 I hope we can help you with your leopard geckos.